Product prices and availability are accurate as of 2019-04-16 05:53:47 UTC and are subject to change. Any price and availability information displayed on http://www.amazon.com/ at the time of purchase will apply to the purchase of this product. 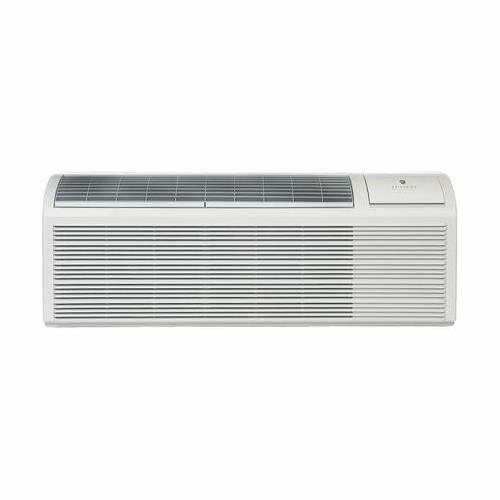 Friedrich PDH07K3SG Packaged Terminal Air Conditioner 11700 BTU Heat 230/208V, 7200 BTU Cool Friedrich PTACs are known for being feature-rich and backed by an AC-focused manufacturer. New design for higher energy efficiency.The advanced coil design of the SG Series maximizes the internal surface area to deliver higher efficiencies providing EERs of up to 13.0. Dependable performance you can count on, It begins with the highest quality materials and components such as stainless steel endplates on the coils and galvanized, zinc-coated steel wall sleeves brought together with durable construction and rigorous testing. Friedrich PTACs are built to deliver years of reliable performance.Engineered for maximum guest comfort. Quiet, yet powerful airflow quickly reaches all corners of the room. The two motor design and thick insulation on the inner walls reduce the indoor sound levels. Guests can select the Constant Fan mode, which produces a steady stream of white noise in both cooling and heating modes that masks sound level changes when the compressor cycles on and off, and also masks outdoor noise. (Note: All wiring and building connections must be properly sized to accommodate the power cord. See model specifications for details. Note that Wall Sleeves and Wall Sleeve Grilles are sold separately. Includes a 20 AMP Power Cord. Unit Comes Standard With Corrosion Resistant Coils.